Get It Now On The App StoreI don't have an iPhone. Tired of looking at the stacks of business cards you keep collecting on your desk? Wonder how you'll ever keep track of all these networking relationships and remember to stay in touch with them? wished there was an easier way to send referrals and make introductions that was clean and easy and all tracked for you? currently using inefficient methods of managing your networking contacts, like Excel spreadsheets, Outlook or Google contacts? Or are you cobbling together multiple products to solve this issue? LincSphere was built based on the habits of the worlds most successful power connectors. In other words, it's not just another CRM system. In fact, CRMs aren't even our competitors. CRMs are great for managing and tracking sales and customer info for a company. 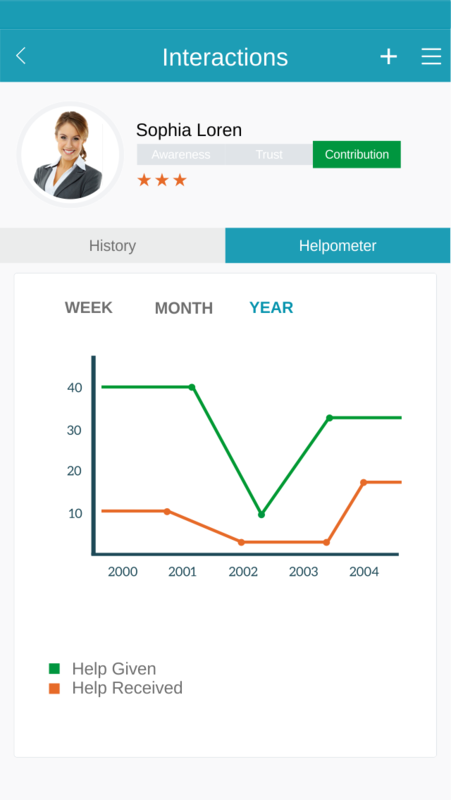 LincSphere was built to help INDIVIDUALS build and manage their network of PROFESSIONAL RELATIONSHIPS. Easily send "double-opt-in" introductions that automatically ask permission first before sending the intro along. Use the camera on your phone to easily scan and save business cards, then import them into your LincSphere contacts. Easily set repeating follow-up reminders for each of your contacts, to ensure you never forget to stay in touch. 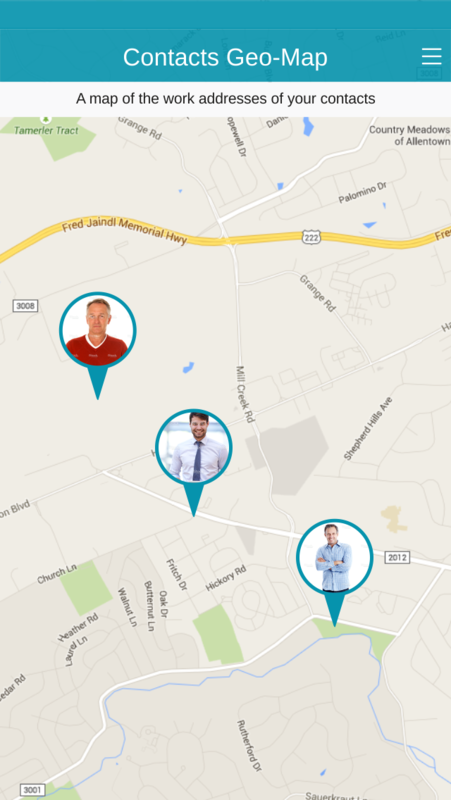 Easily send referrals to your most trusted contacts to further build your relationships. Get a bird-eye view of the size and location of your network. See them all on a map (by their work addresses). 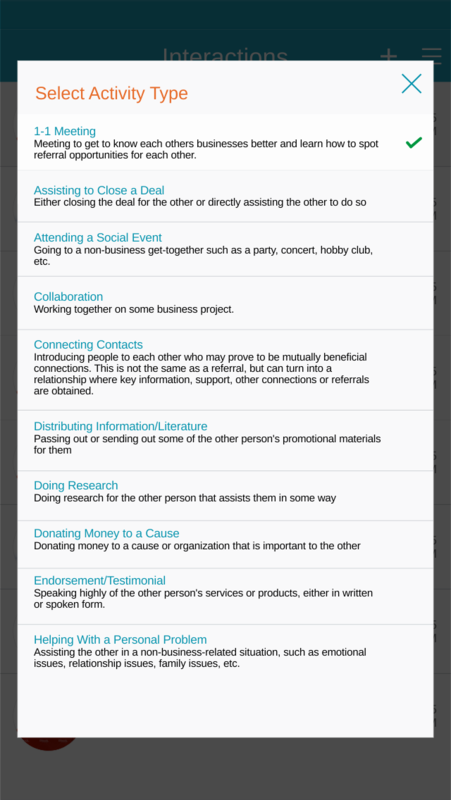 There are lots of activities pre-loaded in the app, to give you ideas on how to interact with your contacts for better relationship-building. What Networking Problems will LincSphere Solve for Me? LincSphere provides you with a full arsenal of networking tools, but does it in a way that is not confusing to learn or overwhelming to use. LincSphere is something truly new under the sun - an app COMPLETELY dedicated to making you a better, smarter, more efficient networker (i.e. relationship-builder). So let's clear up some of the more common questions we get asked. How does LincSphere compare or compete with LinkedIn? Don't you need a large user base before the app is really useful? Is LincSphere trying to take the place of my CRM (customer relationship management) system, such as Salesforce? 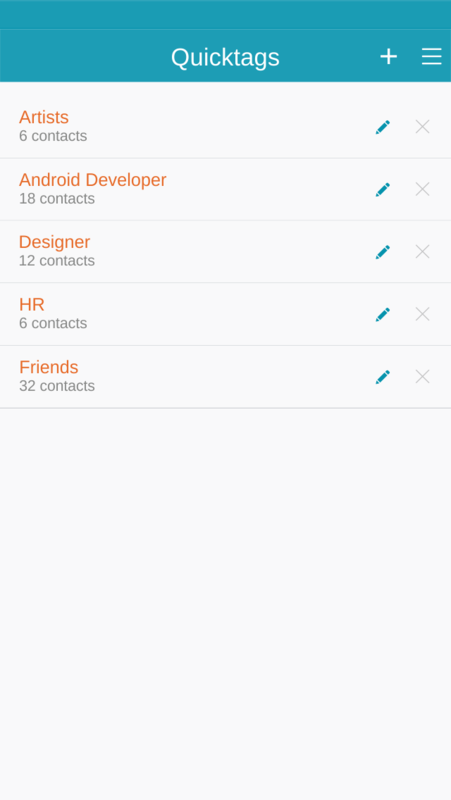 Will I be able to send bulk or blast email messages to all of my contacts? LinkedIn is a social media platform and primarily functions as a “professional people search”, but with features for group discussions and publishing content. It has little in the way of MAINTAINING relationships or building them. It has features for introductions, but most people find that these attempted intros don’t often work out because of the tendency of users to have a great many “connections” which they don’t really know well in their account – thus making intros harder. And then there is the quantity of spam connection requests you get in your LinkedIn account. The point is, we are not trying to REPLACE LinkedIn and we won't, but there are a lot of needs that aren’t met in the networking world by ONLY using LinkedIn. Not at all. Easily 95% of the features in the app are fully usable even if you were the only person on the planet with the app. 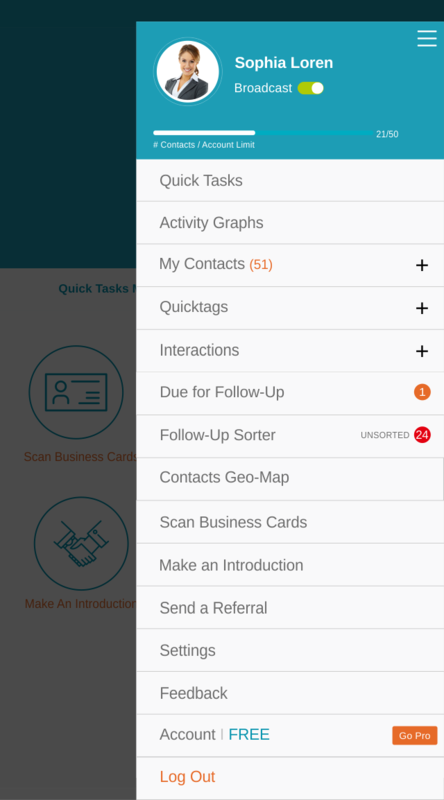 From business card scanning, to storing contact data, creating and using follow-up timers, using the contacts geo-map, sending referrals and making introductions, etc. are all usable without having any other users (for example referrals and introductions are simply sent as emails). 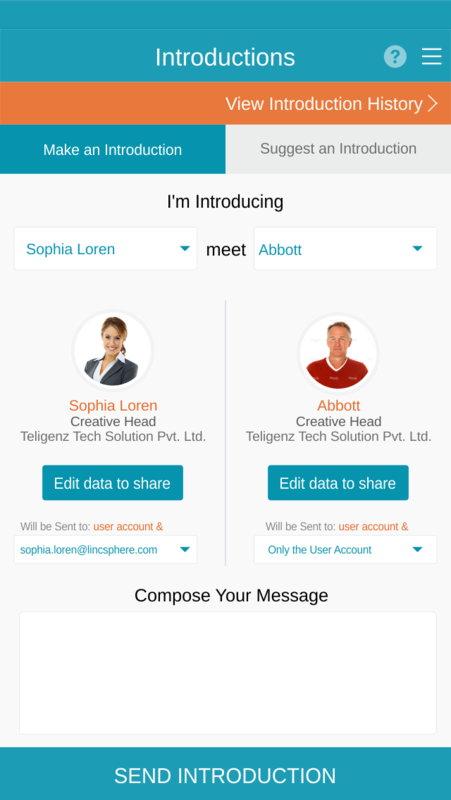 There are a few features, however, that are meant for interaction with other LincSphere users, such as our Event Lens feature and other enhancements when you link a contact record to another user's account. The answer is NO, we aren’t trying to compete in the the CRM space. If a company needs to manage their CUSTOMERS, by all means use a CRM (in fact, we plan on setting up easy integration between us and popular CRMs eventually). LincSphere is for INDIVIDUAL use. This is because a person’s network is the set of relationships that that person has. Many of the people in a salesperson’s network don’t belong in the company’s CRM. Some of your contacts might not ever become your customers but are still good referral partners, and they send referrals only because they know YOU, not because of any allegiance to the company. The salesperson needs to be able to manage his personal network and he can’t do that in the company database. Plus most CRMs are all SALES focused and don’t get the person focused on just building the relationships by adding value to the lives of their contacts, which is the best way to build trust, etc. The majority of people who network don’t really get the difference in this mindset, which is part of the point of why LincSphere exists. Absolutely not. If you are looking to send messages to people who have OPTED-IN to your list, there are services such as Constant Contact or Mailchimp that exist for that. LincSphere does allow you to export CSV files of your contacts, so you can import them into other programs. However, LincSphere itself is for building relationships with your personal network, and that is only done with personal, 1-1 communications and actions. Actually, one of biggest complaints that many networkers have is when people they just met take their business card and add them to their newsletter or "drip-campaign" without actually having gotten permission. That's the way to break down relationships, not build them. Simple pricing that's a no-brainer for all the value you get. 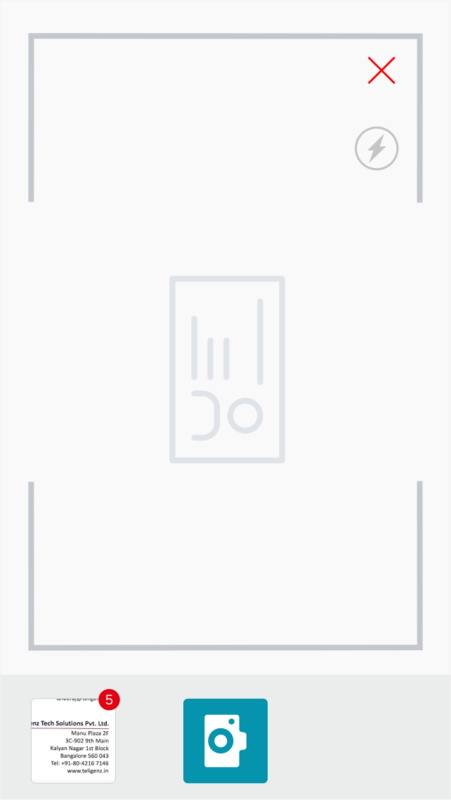 Free to download the app. What are best practices for networkers? We created a code of conduct for networkers. It was written as a distillation of the key attitudes and behaviors practiced by the best networkers around the world. It is our contribution to making these core concepts more easily shareable and their practice more widespread, thereby helping improve the overall culture of networking for everyone. Please feel free to reach out with any questions, comments or ideas. We tend to respond pretty quickly. and web versions come out, sign up here. We're on a mission to improve the general culture of networking. If that's a vision you can get behind, then show us some love on social media and help get the word out. Get It Now On The App Store I don't have an iPhone.